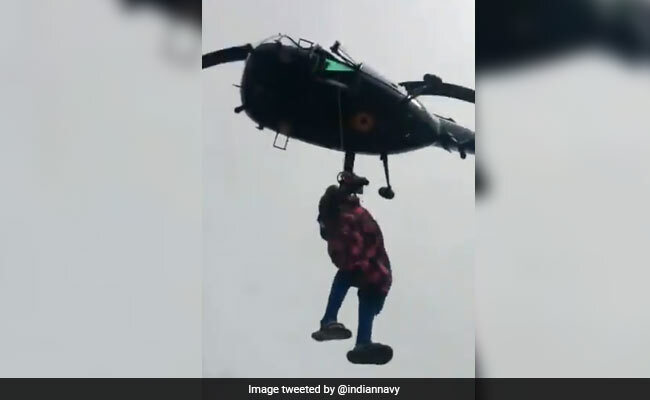 Sajitha Jabil, 25, was seen holding on to a rope suspended from a chopper as she was airlifted from her flooded home in Chengamanad town in Kerala's Ernakulam district. 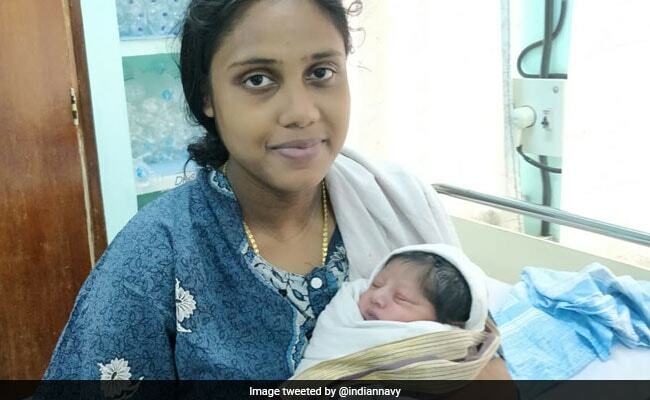 The nightmare for a pregnant woman, stuck on the rooftop of her house in flood-hit Kerala, ended when an Indian Navy's chopper reached to rescue her. Sajitha Jabil lives in Chengamanad town near Aluva, one of the worst affected areas in the rain battered state, where 324 people died over the last eight days. There was no rescuer in sight when the 25-year-old's water broke. But a Navy chopper arrived soon after, with a doctor, who was lowered onto the rooftop to examine her. With his go-ahead, Ms Jabil was strapped into a harness and winched up to the chopper and flown to INHS Sanjivani hospital in Kerala's Kochi. The hospital authorities said barely 30 minutes later, she delivered a baby boy soon after and both are doing fine. In images tweeted by the Navy, the new mother beamed as she held her baby. "They are both doing fine," the tweet read. Aluva is in Ernakulum district, one of the worst hit by the flooding in the Periyar river. Earlier this week, the waters flowed into the nearby Muttom yard, putting a stop to Kochi's metro services. The Kochi airport also had to be shut after the runway became submerged. Thousands of people are still perched on trees and rooftops, waiting to be rescued. Water has started entering a few relief camps. Rescue operations are in full swing in the flood-hit state. Around 3,000 people were rescued from Ernakulam and Pathanamthitta districts on Thursday. An alert has been issued in Alappuzha, Ernakulam, Thrissur and Pathanamthitta. More boats and four choppers have been deployed in Chalakudy, Chenganoor and Pathanamthitta. Kerala has received heaviest rains and floods since 1924 causing massive destruction and leaving more than 70,000 people in relief camps. 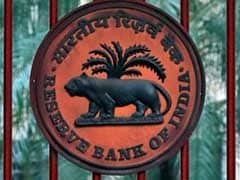 The damage to crops and properties has been estimated to be over Rs. 8,000 crore.